NOTE: Google Chrome no longer supports Silverlight (which is required to run Colleague). You will need to use Internet Explorer, Safari, or FireFox to access Colleague. On the Colleague Welcome screen, click the Begin button. Your network username and password will be the username and password you use to log on to your computer and myOC. 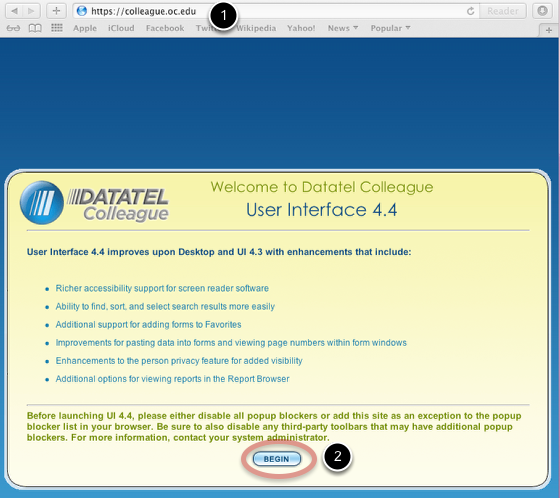 If the sign-in screen does not appear, you may need to turn off your pop-up blocker.